The Alex character in Kubrick´s film "A Clockwork Orange" about Beethoven´s 9th symphony. 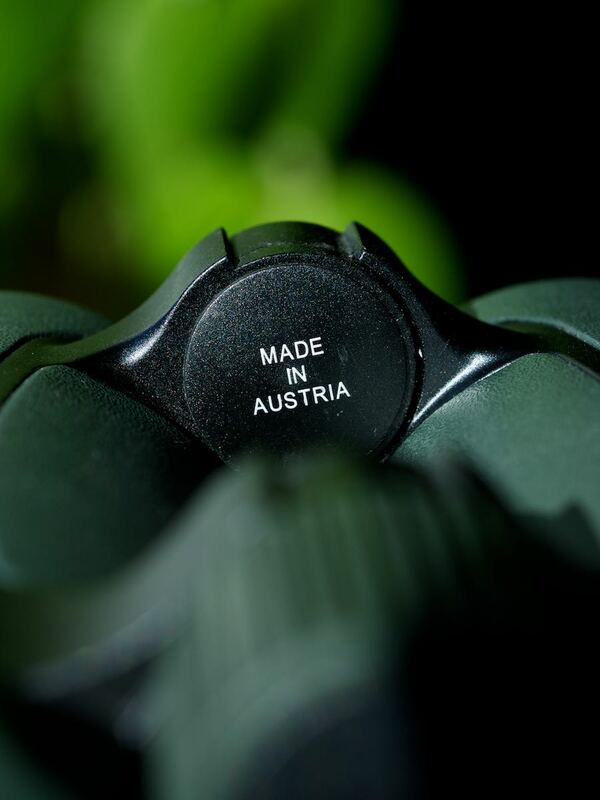 Test sample´s serial number K850344020, kindly provided by Swarovski Austria. Review period started 26-1-2015. I have no connection with Swarovski except that they have freely provided me with a sample from their test pool for my review. I was not prepared for the stunning performance the 8.5x42 Swarovision yields under most conditions. To be honest, I had expected all the flaws of its smaller sibling, the 8x32 Swarovision. I was wrong and had to get rid of all my prejudices against modern flat field designs almost instantly. And compared to the 8x42 SLC, yes, it «can do everything even better.» Well, almost. And: much better. 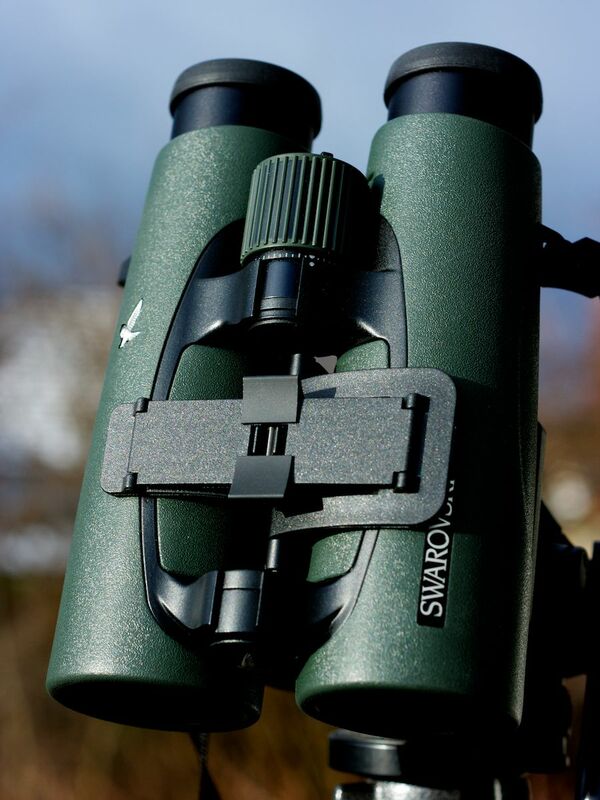 The Swarovision has a sharpness and contrast transfer that I had never seen before like this, combined with a clever flat field design, good resistance to flare and great ease of view. 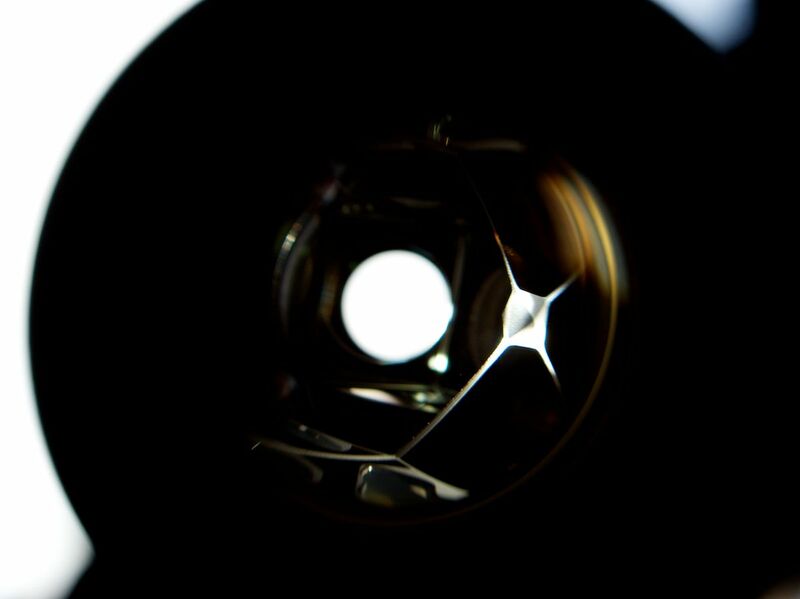 It´s exciting to enjoy images with such awesome clarity. Let me finish my introductory poetry with this: We can marvel at the proverbial «Zeiss 3D pop», the exquisite «Leica glow», or, as I´d like to suggest, the «Swarovski shine». These are all flavours of excellence and part of the fun in a journey to discover great binoculars. The Swarovision 8.5x42 is my new reference glass. The body is very solid with perfect friction of the hinges. Definitely high quality finish everywhere. The focusing is still not as velvety smooth as I would like it to have, but the best of the Swarovskis I had in my hand, the friction is adequate, not too light. The focusing throw is very long, the finger has to snap back once to focus from 7 to 150 meters. For me that is not an issue, and I really love to pull focus on a big bird flying slowly towards me. 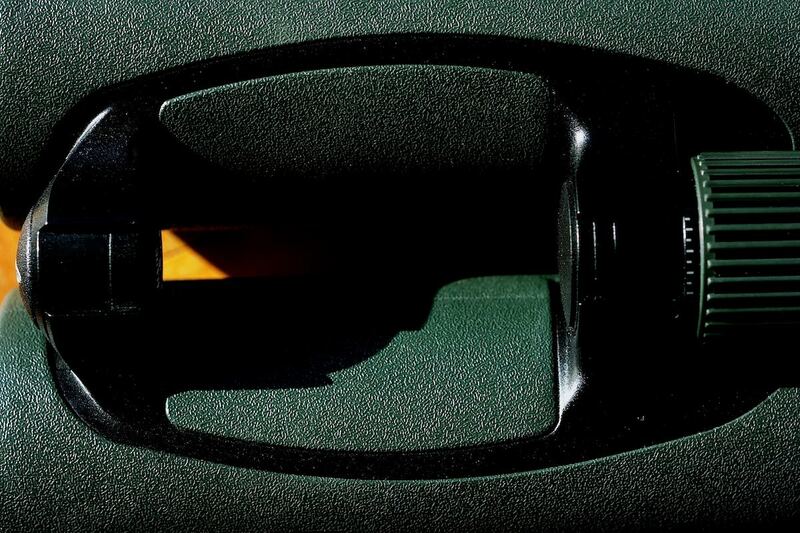 Eyecups can be locked in three different positions. 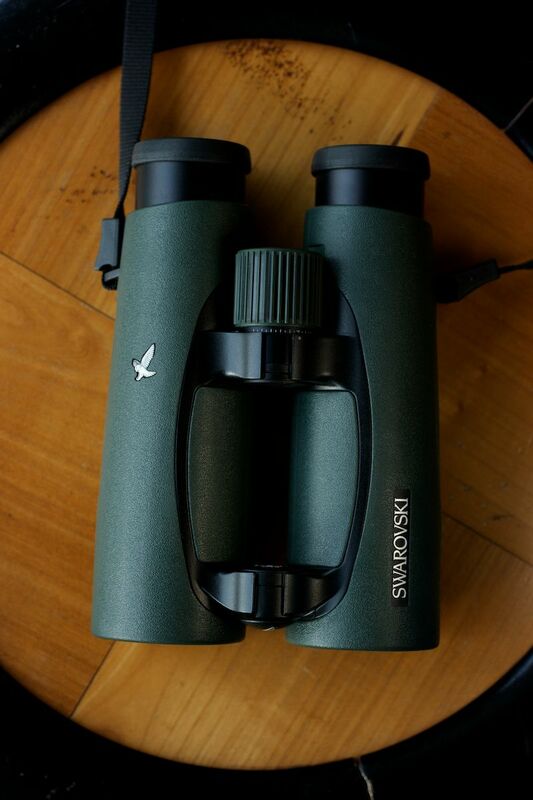 Handling is excellent, these binos fit perfectly in my hands, with good balance, and the texture of the rubber is good and feels durable. The tripod adapter is really special, I will try to post something on youtube soon, you have to see it in a movie how clever designed it is. The adapter is short and very close to the bottom of the body and allows you to handle the glass handheld even with the adapter on. It should work on many other roofs, too. As my tripod has an easy leveling feature this is my favourite adapter system as it is so compact. On most tripods the leveling feature of the SLC adapter type would be more convenient though, but that adapter is bulky and needs to be detached for handheld use. I admit I´m fond of good industrial design. This one is a real beauty. If it has not found its way into the Museum of Modern Art collection yet it probably will. is reference and the best I have seen yet. First binos that beat my trusted Habicht 8x30W in that respect. Images have an almost surreal chrystal clarity. The impression of biting sharpness comes from a very high contrast at coarse edges. But the contrast transfer must be unusually high even at the resolution limit of the eye, and that is what makes the images so rich, vibrant and clear. And it stays like this even at open pupil. Amazing shapes and wonderful textures. From the center to about 60% of the image radius contrast transfer is extremely high, then slightly and sort of secretively decreases a bit in the outer zone to have a quite steep rise again so that the last 20% of the field towards the edge are very sharp and contrasty again. This field flattening is much better implemented than in the 8x32 Swarovision (note: this model may have had a slight optical modification since I tested it). The smaller sibling has an extremely steep drop and then increase of contrast transfer at about 80% of the radius, creating a ring of unsharpness which at the same time marks the transition from pleasant slight pincushion distortion to the lack of it (or maybe to a more complex distortion). In the 8.5x42 we have a really much more user friendly flat field, and this was a total surprise for me. First impression: If flat field is that good (that is, if rolling globe is that little) there is no point of going back to classic designs. Let´s face it, no matter if one prefers flat or classic field, there is no way to get such a truly spectacular performance in contrast transfer and sharpness without very low manufacturing tolerances and strict quality control. 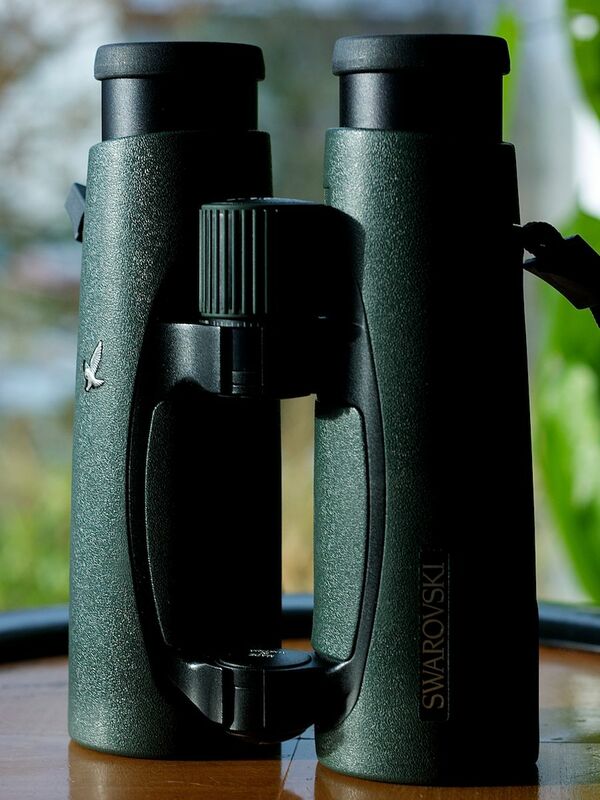 But the result is such that for example the SLC 8x42 - which I considered a great binocular - will not suffice anymore. Compared to my beloved Habicht 8x30W, here finally is a roof with even better clarity, better contrast transfer, and much better ease of view (granted, for three times the price of the Habicht... that is why in my opinion a new modern porro priced a bit below the SLC would still be great). 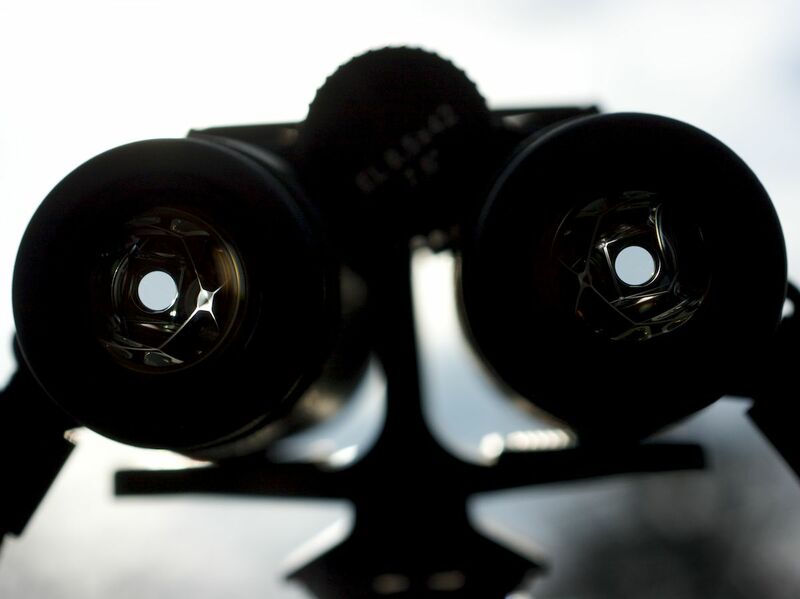 I can´t see a real difference in brightness between the Swarovision and the SLC, but it will be interesting to compare to the latest high transmission glasses from Zeiss and Leica. The Swarovision shows the finest colour subtleties very naturally. It definitely has slightly colder images than the Habicht which I considered my most neutral bino so far. So, either the Swarovision is a bit too blue and the Habicht neutral or the Habicht a bit too warm and the Swarovision neutral. Each way both are wonderful in the colour department. I love to see cold blue shadows vs warm tones, and the Swarovision amply delivers that. is exemplary thanks to a perfect alignment and probably a very advanced optical construction of the oculars with a well corrected exit pupil. At closed pupils these binos are very tolerant to where I put my eyes. I feel I can provoke blackouts easier in the SLC when missing the best position. I will check for distortion pattern with the brickwall of my trust soon. Using cupboards and drawers as test object it seems that there is very slight pincushion in the biggest part of the field which decreases towards the periphery. Surprisingly I don´t have serious issues with rolling globe, very unlike as with the 8x32 Swarovision which made me often very nervous when doing fast pans or tilts. Maybe the 8x32 Swarovision with its slightly wider field of view always had worse rolling globe due to more emphasis on small volume. Anyway, in the 8.5x42 I was not bothered by rolling globe, the uneven distortion is perfectly acceptable for me. is wide (7.6°, 133m/1000m) and flat. As discussed above, the flat field implementation to my eyes is much better than in the 8x32 Swarovision, with a much smoother transitions from center to outer zone to edge. The flat field is a real wow effect for the most inexperienced user even, and it is well usable with open pupil, although details in the outer zone become a bit less well defined then. 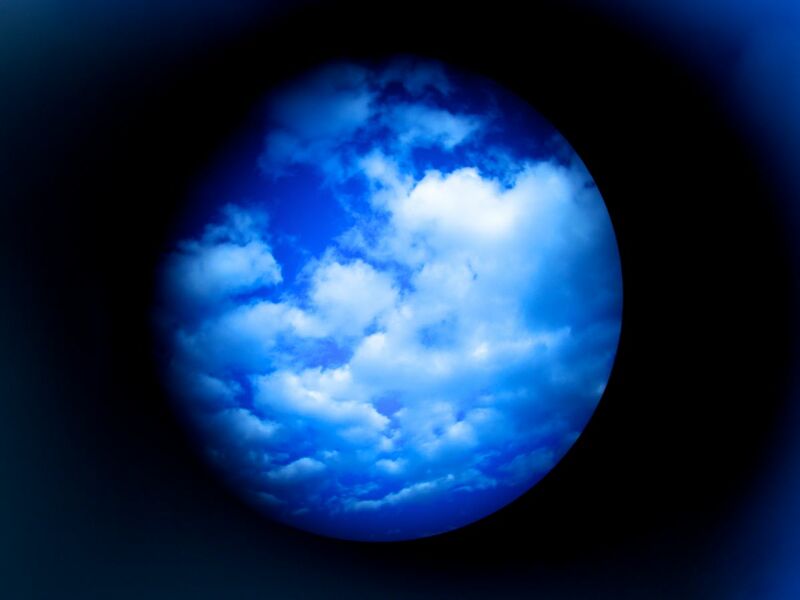 is stunning, with perfect optical performance. I was marvelling for a quarter of an hour or so at details 1.5m away. Putting the binos down I had a strong double image for a couple of minutes. 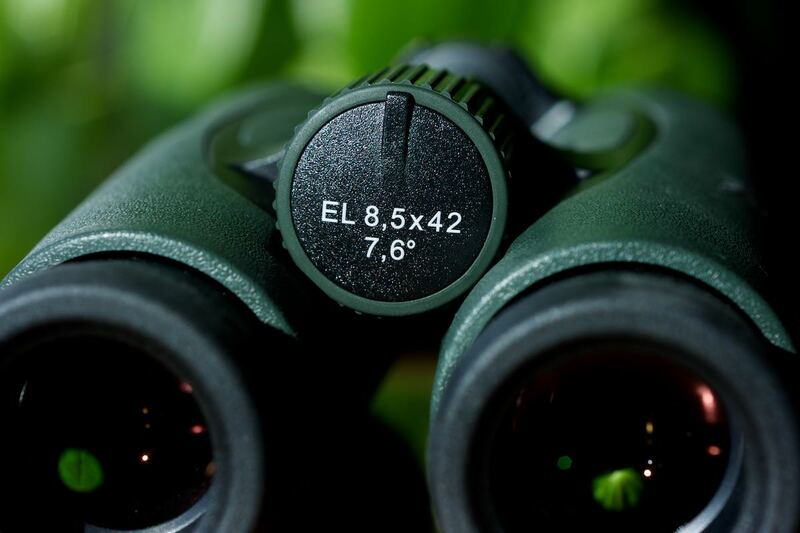 Of course squinting is unavoidable at the close focus even in the best roof binoculars. So this is one spec that really does not need to be pushed further. But I look really forward to do more macro watching once butterflies and lizards are back. The only issue I have with this glass is that with the sun in front, there can be some veiling glare making shadows grey and lowering contrast, and some crescent flare at the peripheries. 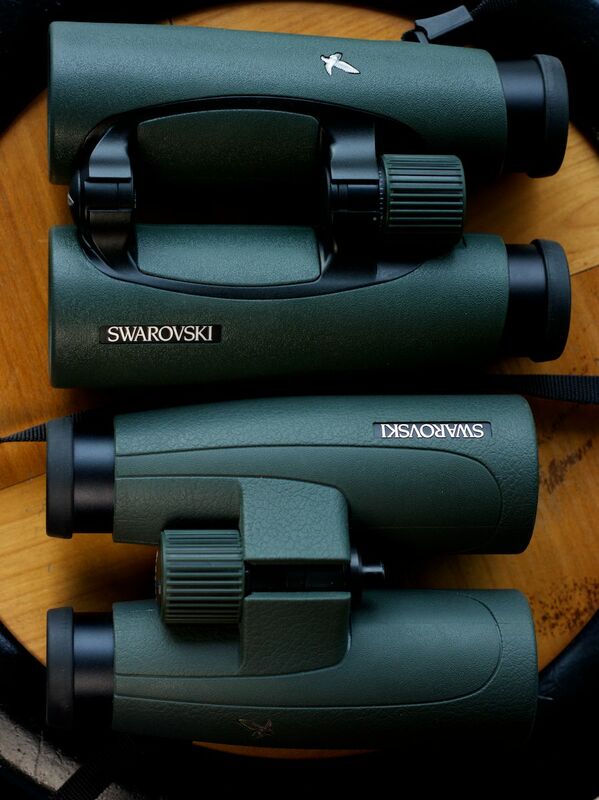 My Habicht 8x30 and the Swarovision 8x32 are much worse though. The 8x42 SLC may have a bit less veiling glare, but suffers much more from crescent flare. With the sun at the back or on a dull day or in twilight the Swarovision´s image is surprisingly free from flare, it is very clean and "quiet", whereas the SLC´s image is nervous in comparison with frequent, if only weak crescent flares in the periphery. To sum it up, it´s mainly veiling glare in the Swarovision - sunshades would often help when watching against a high sun - but the flashing crescent flares at the periphery from for example bright skies are very well controlled. I enjoy that very much, it´s an important part of the image quality. are very well controled, this is state-of-the-art in my experience, although you will find some in high contrast situations and towards the periphery. Both Habicht and SLC are much worse. The night sky looks spectacular with the Swarovision, I saw very little coma. Panning across our bright LED street lantern there was a bit of white flare and a couple of green ghosts. - It has classic pincushion distortion, so there is no globe effect like some users may experience in the Swarovision 8.5x42. - With the sun in front, the SLC may have a little bit less veiling glare than the SV. - The classic curved field of the SLC on one hand should give a better threedimensional feel to the images than the Swarovision´s flat field. On the other hand, the extreme contrast transfer of the SV seems more immersive. - The SLCs pronounced curved field looks very good on a bright day with good edge sharpness impression at closed pupil, but becomes soft with open pupil, and the zone of good sharpness gets surprisingly small. - The SLC is no match to the reference contrast transfer and sharpness of the Swarovision and all other excellent optical properties described above. For more details, please check my SLC8x42 review. The SLC is definitely softer as the Habicht, especially under 10 meters, and whereas these two look similar at infinity, the Swarovision has definitely more pop than both, at all distances. If your vision is good, I advise you to not directly compare the SLC with the SV if you are determined to find the SLC good enough for you or a much better value. - Would the Nikon EDG 8x42 with a street price almost 800.- less be a better value than the SV, and clearly beat the SLC? - Would the Zeiss HT and the new Leica Ultravid HD Plus with their better transmission be visibly brighter and have less veiling glare in backlight? - Would the Zeiss SF despite its much wider field of view be as sharp and contrasty, and how flare resistant is it compared to the Swarovision? - As always, sunshades are not a sign of weakness but would improve the performance of a great binocular even further in critical backlight situations. - I admit I´m confused why I had so many issues with the Swarovision 8x32 when the 8.5x42 is such a stunner. Was it not one of the better samples, did I not keep the objectives always clean enough, was I just too much impressed with the Habicht´s and Nikon SE´s great qualities... I would love to see an 8x32 Swarovision MKII with the same contrast transfer and the same flat field implementation as in the 8.5x42. I can see in every instant why the Swarovision costs what it costs (very unlike when I have my car serviced and it costs what it costs). It is very obvious comparing for example to the SLC 8x42 and even to the Habicht 8x30W, which is one of my alltime favourites. Contrast, sharpness, flat field and good flare control are not subtleties, they are big wows. I´m sure Swarovski wants the differences to be obvious, which is understandable given the price labels, but which makes me nevertheless feel a bit doubtful about the SLC. 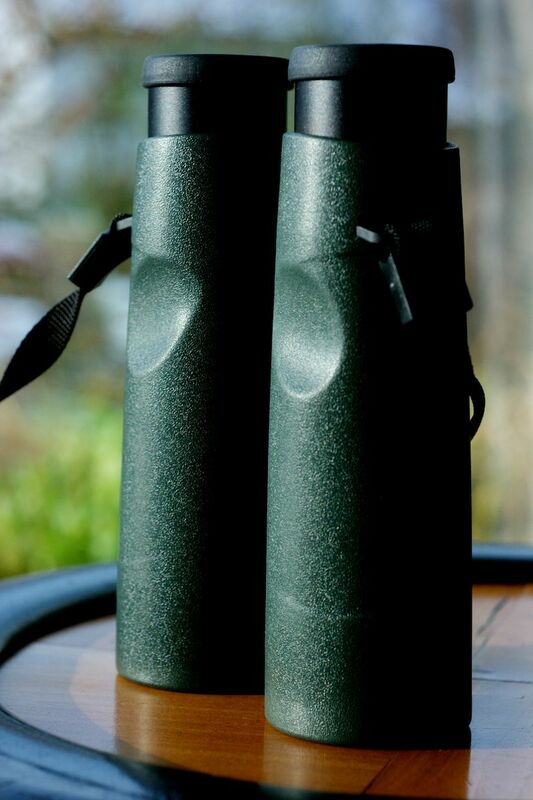 Often the "law of diminishing returns" is cited when discussing the benefits of middle vs top class binoculars. The mathematics may be right, the conclusion could be false. Because with the Swarovision´s images for me it was not like I expected: oh, of course this can only be a bit better. Oh, and why must flat field cost 800.- extra? No - it was: "Holy c...p how good is this.." and as if a veil had been removed. Ultraclarity defined. Congrats to Swarovski for this beautiful masterpiece. 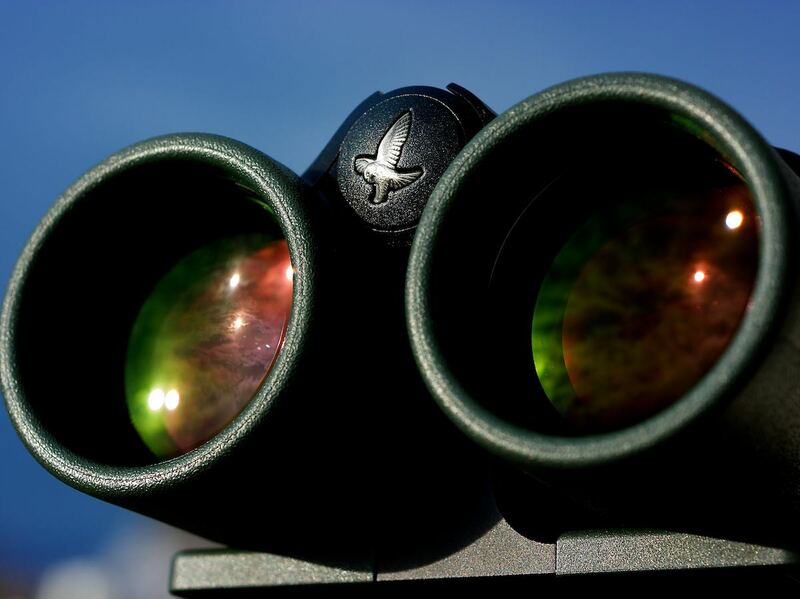 No doubt: one of the greatest binoculars. 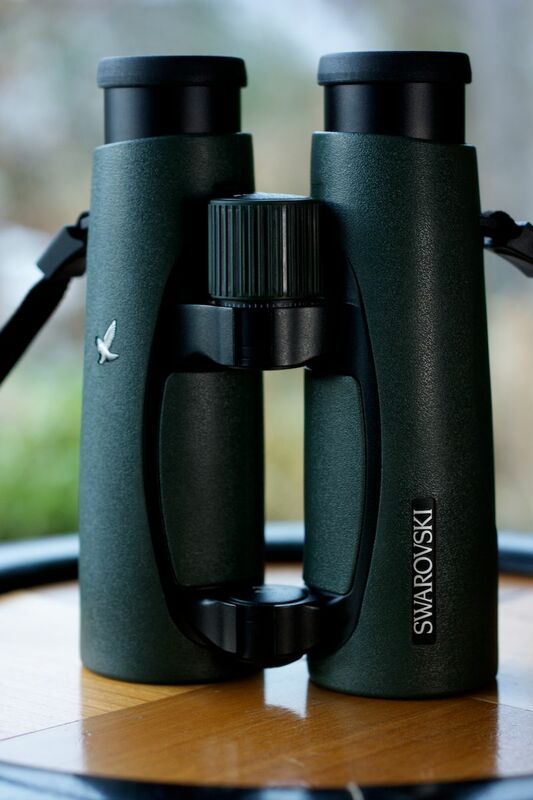 Kimmo Absetz´ review is simply superb and his findings and conclusions are almost identical to mine: "... in a direct comparison, (the Swarovision) easily makes other top binoculars look a little subdued." - My sample has at least the same resolving power as the best competitors in my test pool. - An excellent tripod adapter has since been introduced by Swarovski.